After having a taste of the famous break during the Uluwatu challenge we were hungry for more! Surfing Uluwatu Bali is a real treat. 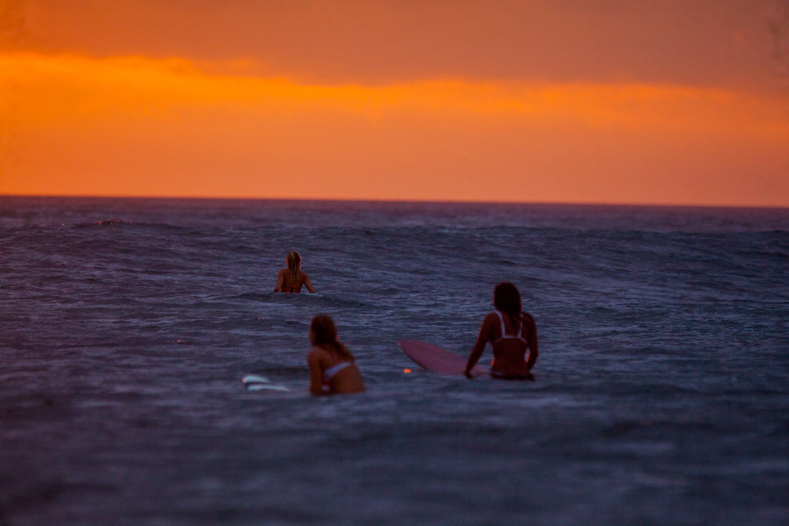 Taking in the beautiful view, the water is warm, the wave fast and long. The hardest decision of the day was choosing which bikini we wanted to wear. Leading the way, Lee-Ann Curren, Rosy Hodge, Kelia Moniz and Bruna Schmitz knew where to go. Below the cliffs and through the cave, we entered the surf, perhaps one of the most unique and beautiful entry points we’ve ever encountered on all of our globetrotting surf trips. Usually a crowded break, we found a few line ups all to ourselves and made the most of those famous Uluwatu long lefts. This is our definition of heaven. Exploring all of our available options, we hired a boat and headed out to find some secret spots and explore further down the coast. The best part of heading out on the boat had to be the delicious dinner the crew served up as we returned to the beach. No need for plates here! 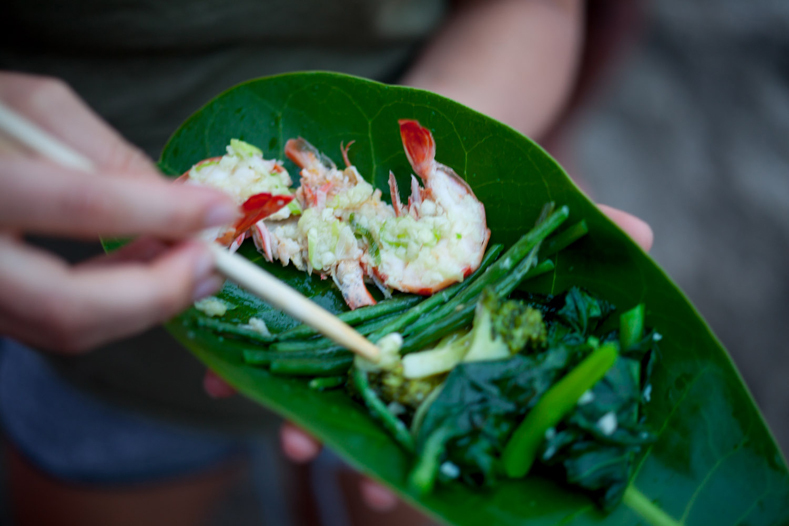 A leaf and a pair of chopsticks were all we needed to enjoy a delicious Balinese-style feast. 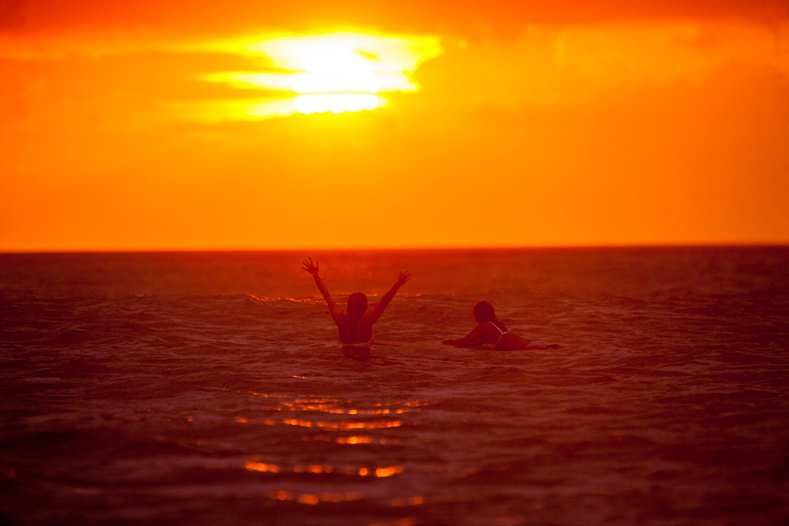 Spoiled with an incredible Bali sunset, we reveled in some epic photos and the stories that matched. We couldn’t have asked for a more picturesque evening to conclude our last night in Bali. We fell in love with the beauty, adventure and spirit of Bali and can’t wait to return again soon!